Arthur Howell has expanded his operations once again by opening a new fish shop at 60 Staithe Street, Wells next- the- Sea. 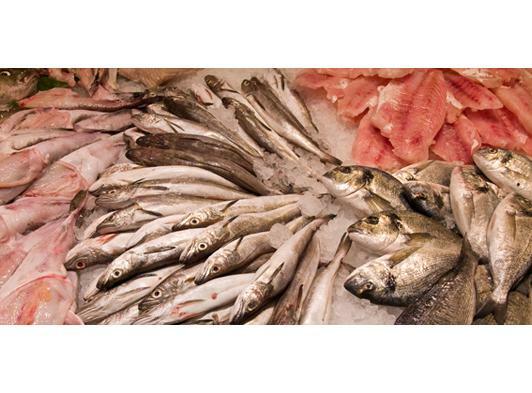 The Howells traditional butchery business has expanded as a gun shop, delicatessen and bakery have been added to the portfolio and now Howell’s Fish Fish Fish is offering sustainable and whenever possible, locally caught produce. The new brightly decorated small shop stocks crabs, lobsters and other crustaceans which are locally sourced from the Wells based established fishing company, A M Frarys. Howells is proud to be buying directly from the Frarys who bring their catch into the quay at Wells-next-the-Sea. Other fish available daily include Pollock, bloaters, hake, mackerel and gilthead bream. These are all caught in European waters and approved by the Marine Conservation Society. There is also line caught wild sea bass, brown shrimps and farmed salmon from Scotland. The fish chef, George Lynch, is very pleased to be based back in Norfolk where he grew up. George puts freshness and sustainability at the top of the list of fish he is selling. With twenty years’ experience as a chef, he is very experienced and able to prepare fresh sauces for fish dishes in-house and to advise customers on recipes and the way they should cook fish. He is also available to do all the necessary preparation for them. All the Howells shops work together. For example, the delicatessen prepares readymade meals using raw meat from the butchers, the bakery uses Howells pork for their sausage rolls and the fish shop takes fish which is not sold at the end of the day to create meals which can be eaten fresh or frozen.